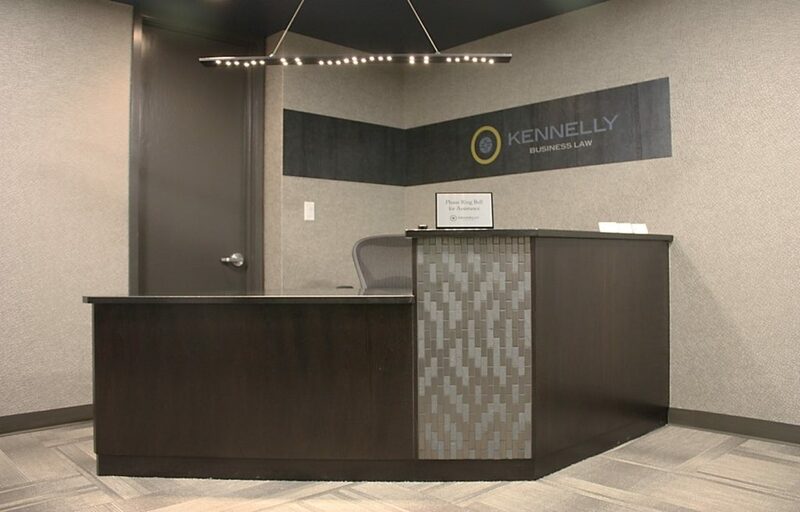 Kennelly Business Law sought out our services to assist them with the interior design of their new law firm. Everything from flooring to wallcovering was selected for this remodeled space, and we think the end result is stunning. This custom reception desk is the focal point of the reception area and the first thing you see when entering this law office. The wood desk is accented with stone and ceramic mosaic tile, which adds a masculine touch complimenting the light fixture above. A textured wallcovering and carpet tiles add visual interest, tying the entire space together.